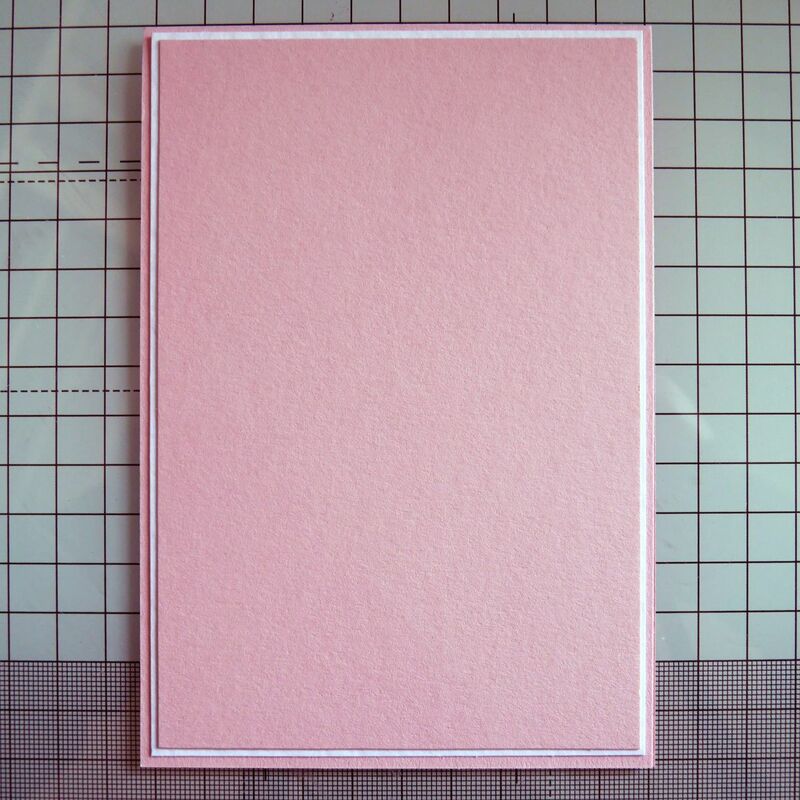 I started off by creating a layer of Hammered White card to mount onto the Baby Pink card blank. 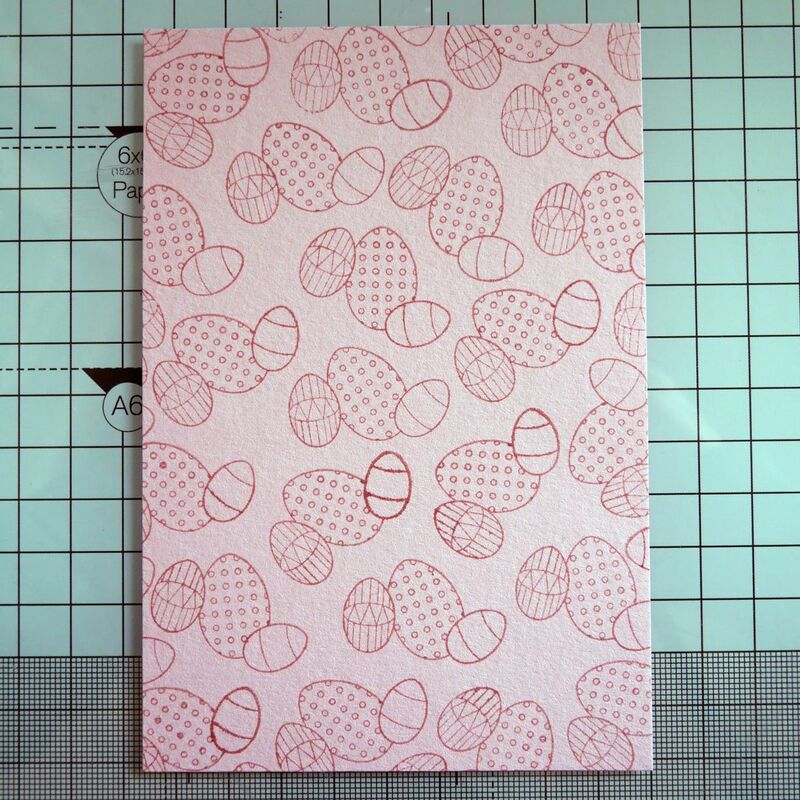 I then cut a panel of the Baby pink for on top of this. 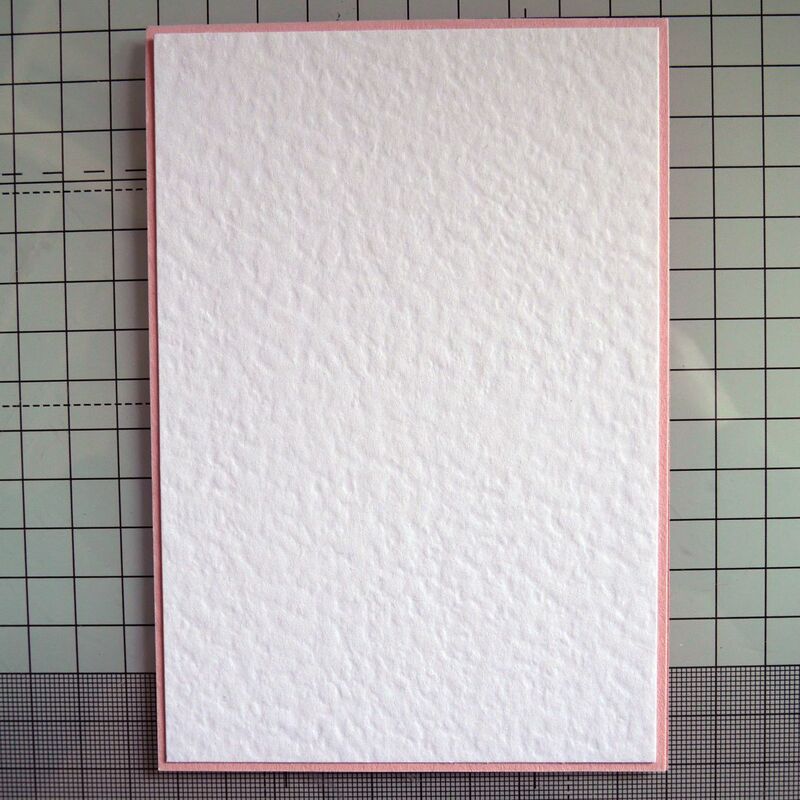 This pink panel looked very plain as you can see. 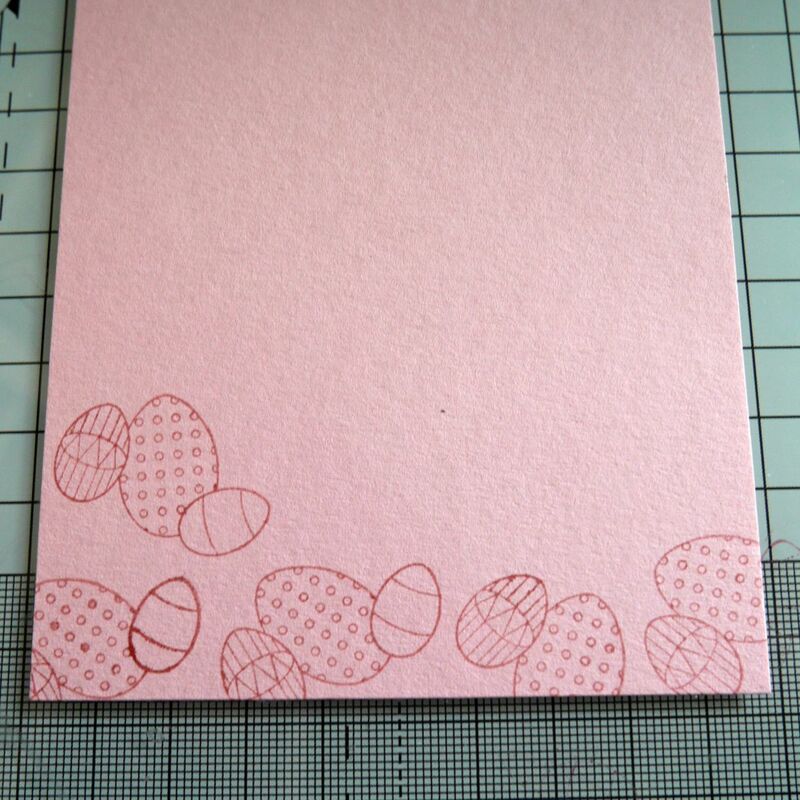 As I didn't have any Easter paper I used a stamp from the stamp set to create a patterned paper. 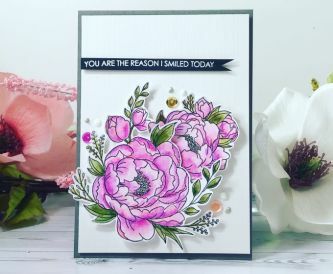 I used a ink that was similar in colour to create a tone on tone effect with the stamping. 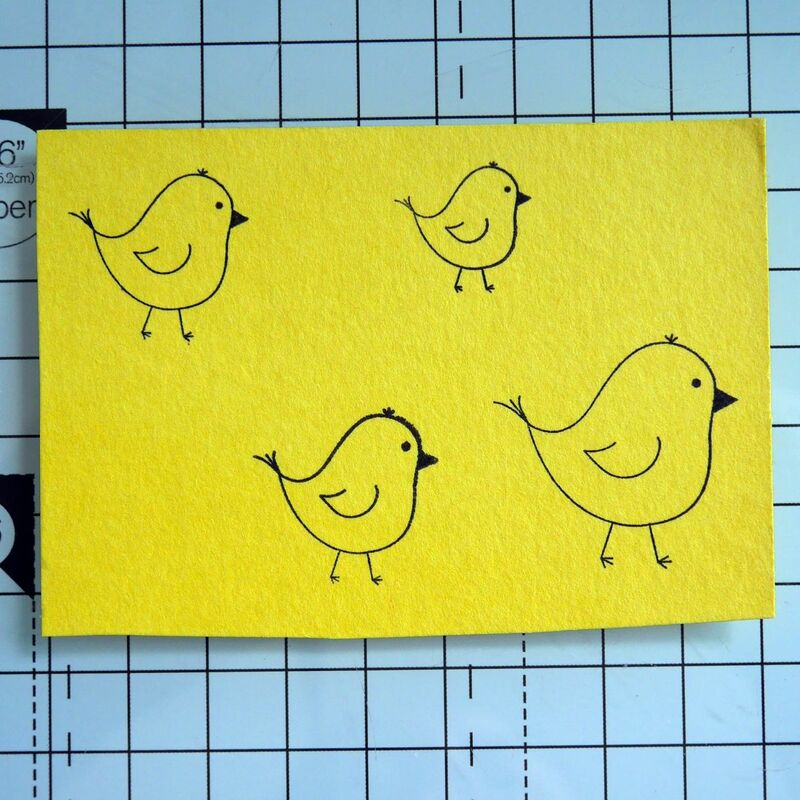 I then stamped the chicks on some yellow card. 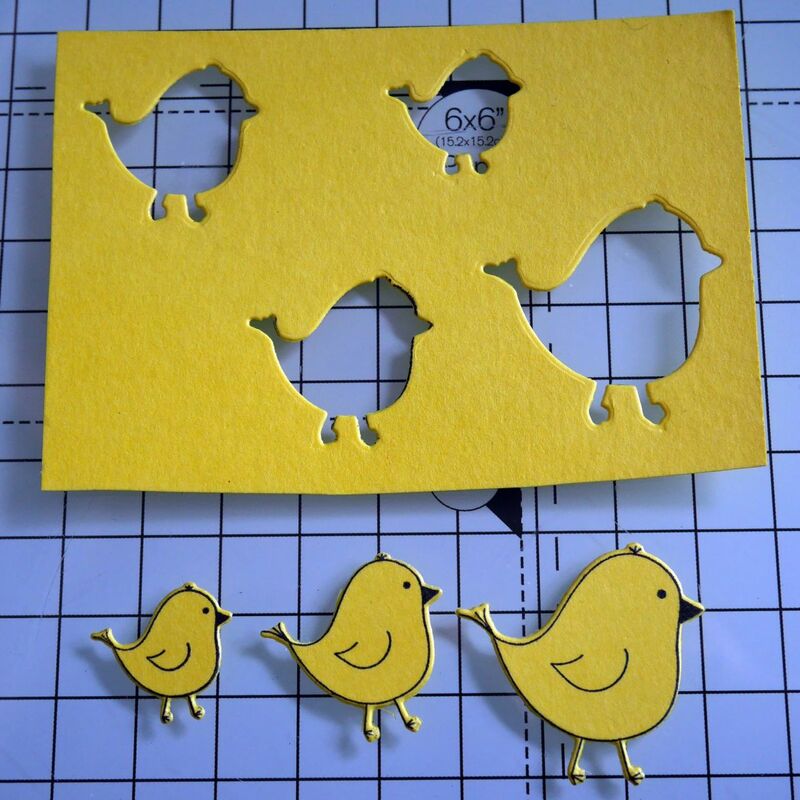 There is a matching die for these so I used that to cut them out. 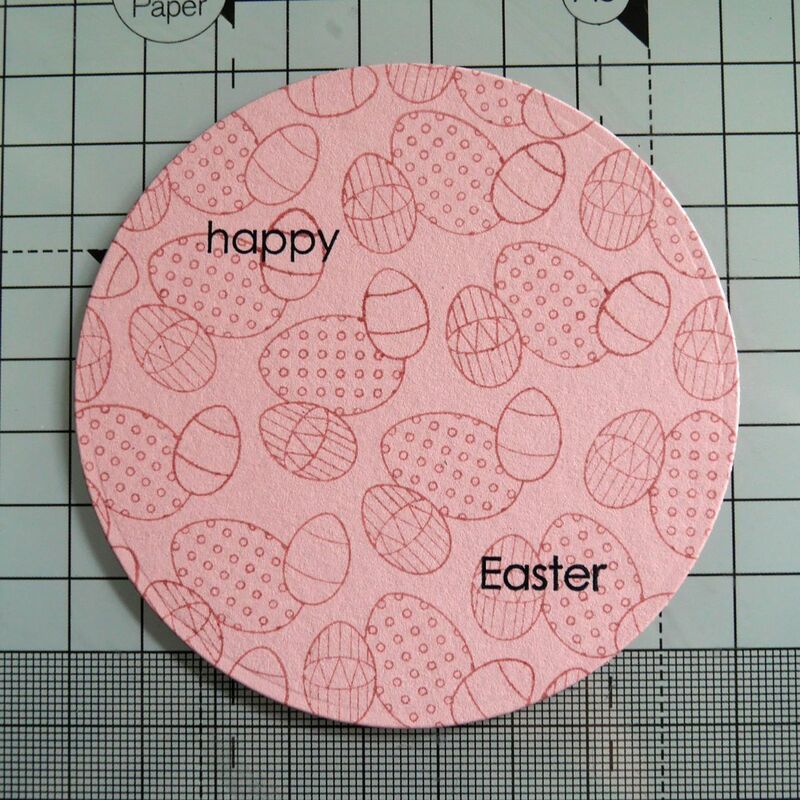 I die cut a circle and created the same patterned paper effect on it using the same stamp and ink combination. 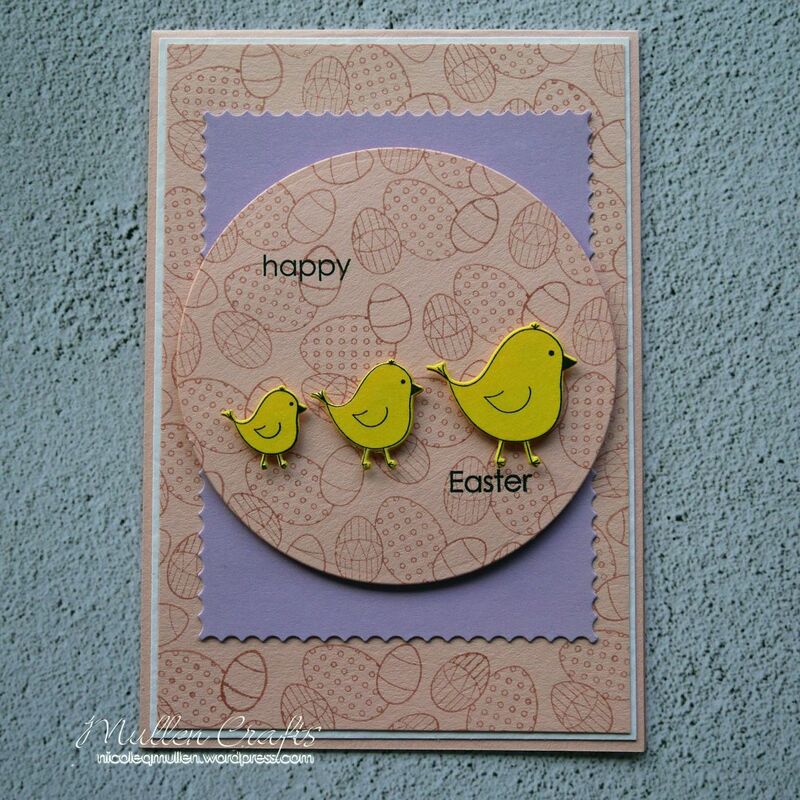 I stamped a Easter sentiment on it and then I then foam mounted the chicks onto the circle. 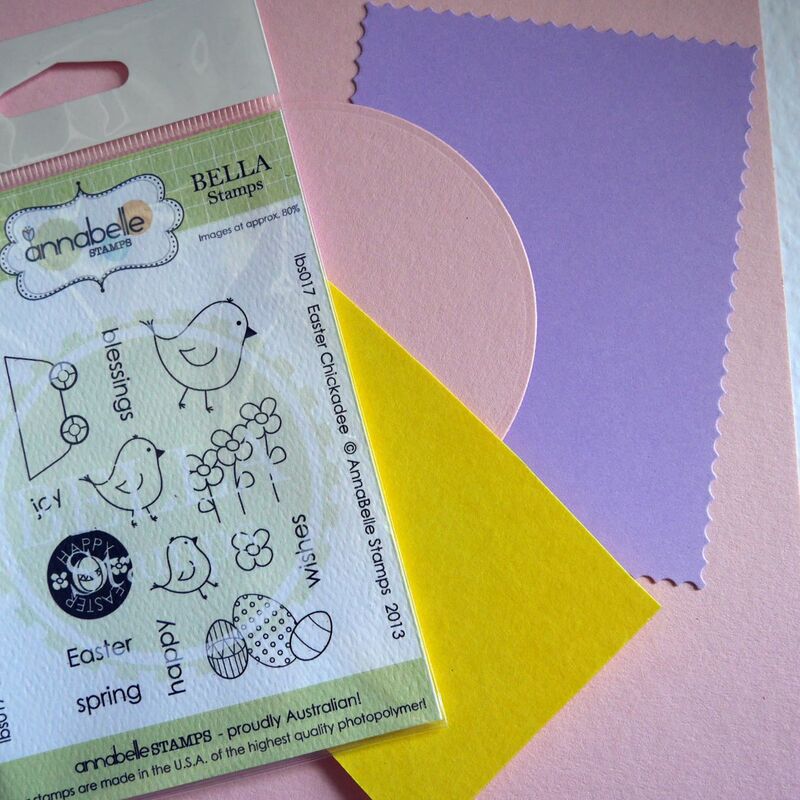 I then glued down the layers, starting with the newly created 'patterned paper' layer. 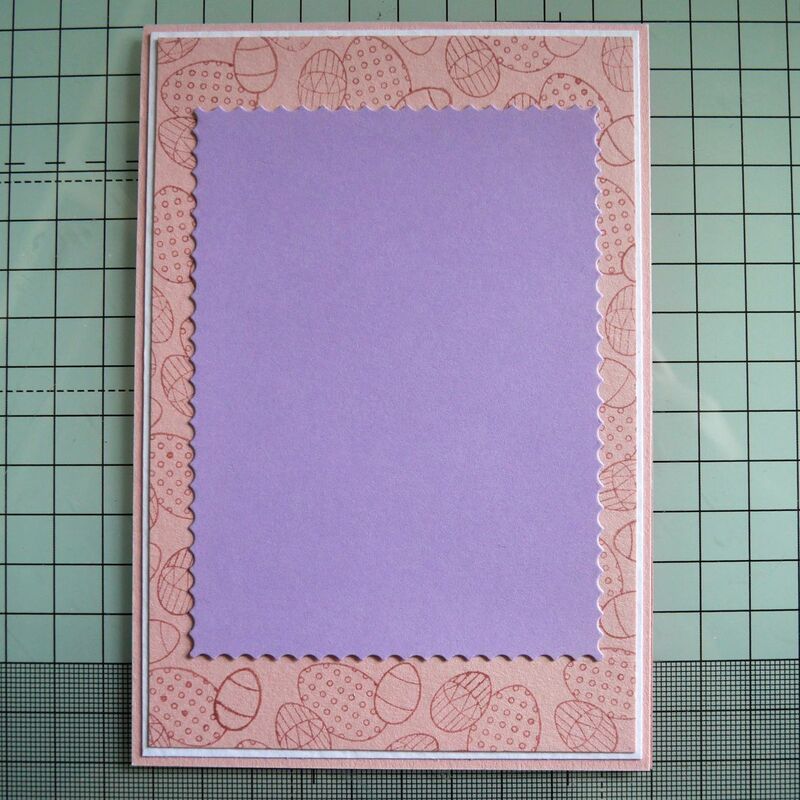 On top of this I added a die cut lilac scalloped rectangle for some more interest. 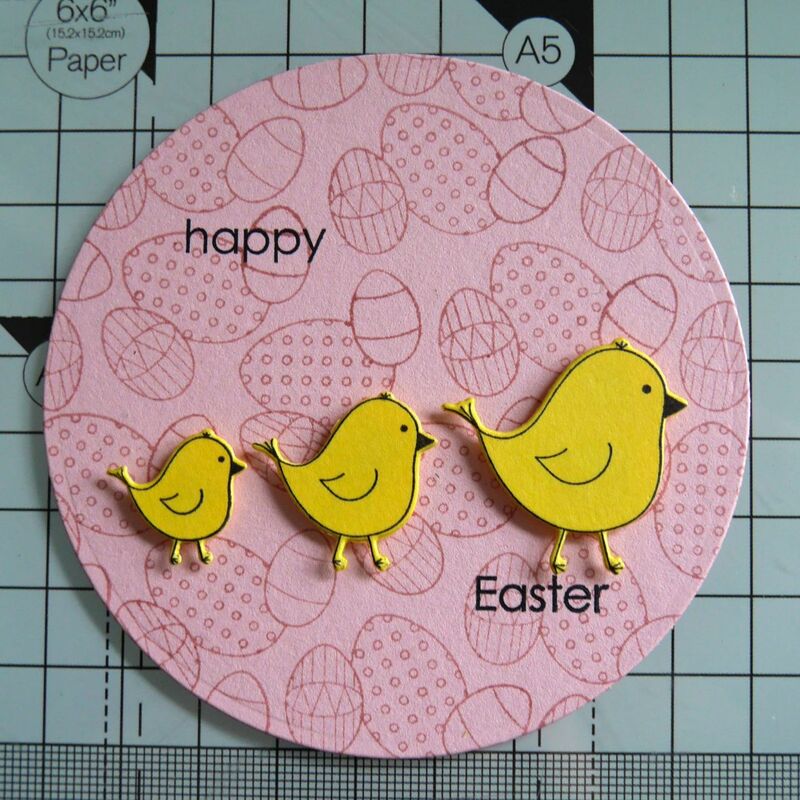 The finishing touch was the circle with the chicks added over this with foam tape. 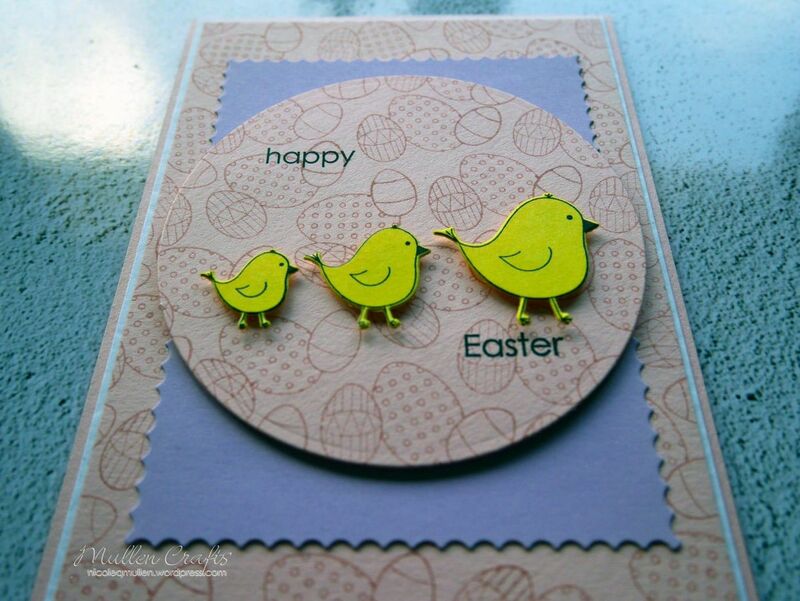 The foam tape added nice dimension and contrast on the card. 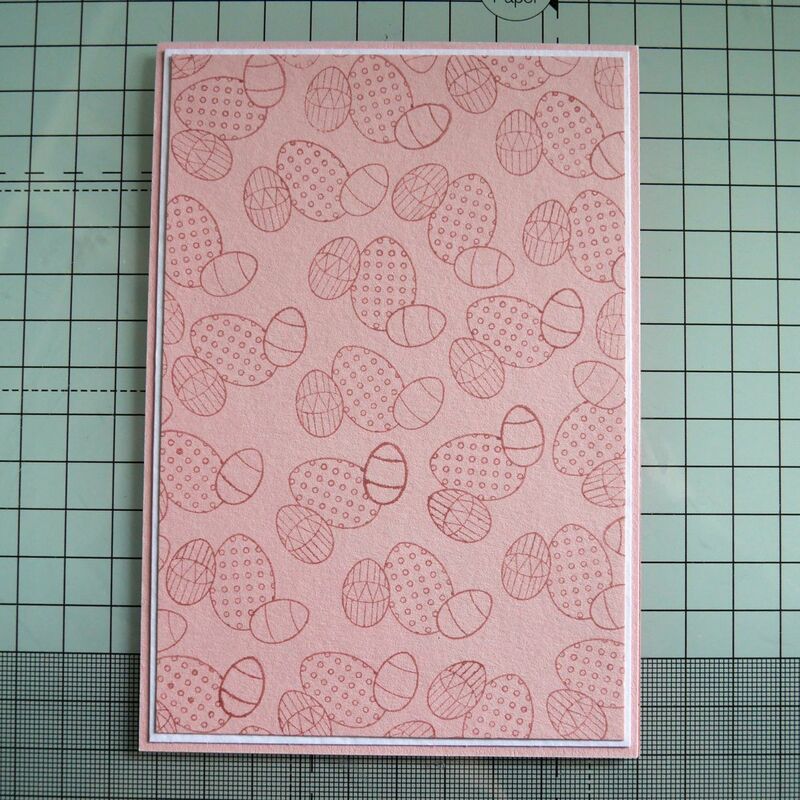 I love how the home made patterned paper looks on this. You could go a step further and colour it if you wanted. But I like the two tone look with the pop of yellow!